The committee of the National Authority for Quality Assurance of Education and Accreditation visits the faculty of Agriculture at Kafrelsheikh. As part of the efforts exerted by Prof Elkemary, President of the University, to improve the quality of the educational process in the university, he received today the external audit team of the National Authority for Quality Assurance of Education and Accreditation. The meeting was attended by Dr. Aboushousha, Vice President for Community Service and Environmental Development, and Dr. Desouki, Vice President for Education and Student Affairs. 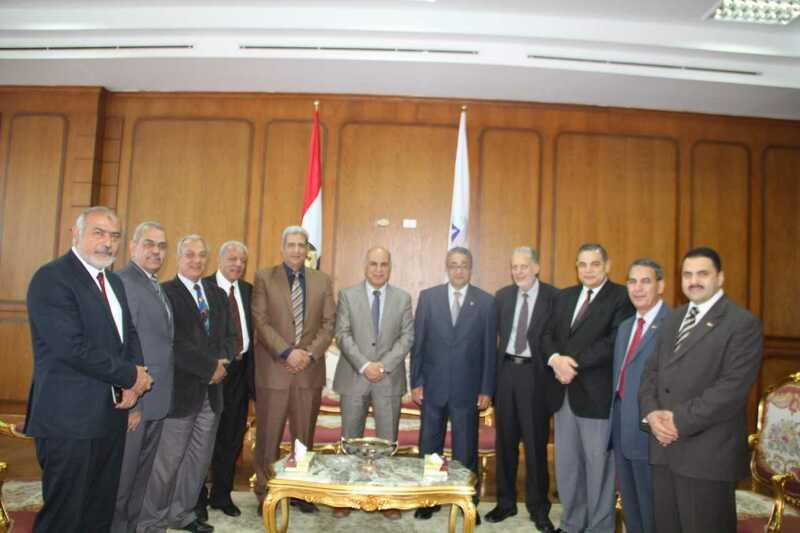 The committee consists of Prof. Aboulros, Prof. Abdeen, Prof. Dr. Hijazi, Prof. Abdo Saud, Prof. Abu Elnaga, experts of the National Authority for Quality Assurance of Education and Accreditation of Agricultural Colleges, Dr. Mohamed Abouwali, Director of Quality Assurance Center at the University, Prof. Hassan Younis, Dean of the Faculty of Agriculture, Prof. Hafez, Director of the International Center for Human Resources Management at the University and Chairman of the Coordinating Committee for the visit. Competition in the university in general, and the faculty of education in particular, was discussed. President of the University expressed his hope that the faculty of agriculture would be accredited. He also showed readiness to support all institutions of the University to obtain accreditation and access to global classifications.